The new Domain rent app. DOMAIN has launched the new 'For Rent' property app for iPhone that makes searching for a rental or shared property easier. The 'For Rent' property app allows users to search for their next rental property by furnished or unfurnished and 'pet friendly' as well as shortlist properties and add inspection dates to their calendars. The app also allows users to check the 'available for rent' dates and the number of new rental listings since the app was last used, as well as see details of the rental bonds. "Rental markets are often highly competitive and our new app for renters ensures that those on the hunt get the most recent and accurate information on the properties available so they can stay ahead of the game," Fairfax Real Estate marketing director Matt Siddons said. 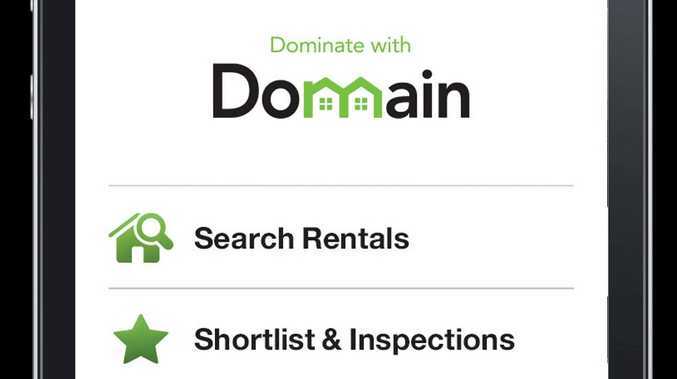 "The search needs of a renter are very different to those of a buyer, so Domain's new 'For Rent' app builds upon our award winning general property app with information and tools tailored to the needs of those looking for a rental property." Domain's apps have received awards including the Best Classifieds award at the Australian Interactive Media Industry Association Awards, and the iPad app was in the top 20 for Apple's App Store Best of 2012.